Amin Dhanani didn't have to look far for a business role model: his father came from Pakistan 37 years ago with 11 children and $50 in his pocket. Although his father didn't speak English, he became a successful entrepreneur with convenience stores and gas stations. His work ethic still wows his children. 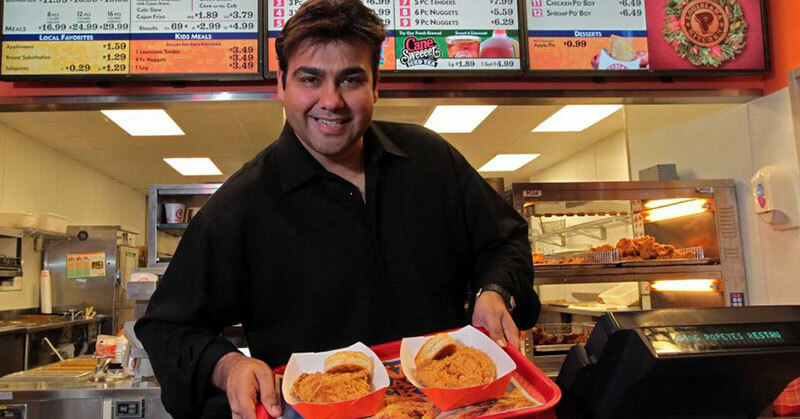 Apparently, the apple didn't fall far from the tree: Dhanani, just 38, recently was named Franchisee of the Year by Popeyes Louisiana Kitchen. 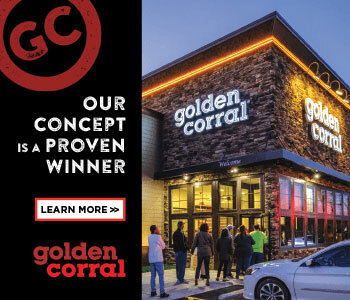 He was also recognized with the Mega-Growth Leadership MVP award for expanding his Popeyes franchise to 125 restaurants (40 of them new builds) in just 5 years. "I think this kind of drive and ambition is part of our family's way of doing business," says the owner and president of Sugar Land, Tex.-based Z&H Foods. "Everybody's like that. It started with my dad, who is 83 but still gets excited about any new deals we come up with. I go to him for advice. His blessing is still important for anything I do." Dhanani and his siblings grew up working in the family business, which included service stations, convenience stores, and Burger Kings. "I worked my way up from assistant manager to GM to district manager to director of operations, so I brought 10 years of operations experience to the table when I acquired my Popeyes franchise," he says. "Burger King provided a great platform to learn from." Even while growing at warp speed, the young husband and father of two believes he's been able to maintain the quality of his restaurants, now in four states (Texas, Arizona, Colorado, and Missouri), by being very hands-on. Nor does Dhanani have any plans to slow down any time soon. He's aiming for another 10 "organic" stores and other new acquisitions in 2015. And he's taking his team along for the ride. "I've learned that people become excited about growth," he says. "They love to be part of something new. It's human nature." My father, a great businessman, has been a great influence on me. He's a true American story coming from Pakistan with 11 kids and little money and starting his own business. Getting into the Popeyes system in 2010 and making a large 49-store acquisition in 2012. In 2013, after always doing business in Houston, I branched out into other cities and states. It's been a great year. A few weeks before I received the MVP award, I was named Franchisee of the Year at Popeyes' annual conference in Orlando. I'm gone about half the month. Monday through Friday I'm on the road or in the office, and on weekends I'm with my family as much as possible. by Popeyes CEO Cheryl Bachelder. She's a great motivator. To always take care of my people and to make them feel part of a team. I love growth. It excites me and keeps me going. Work hard, take care of your people, and live a balanced life. I'm hands-on and very involved in my business. I know almost all my upper store managers and a lot of the GMs. To balance my life between work and family and hobbies (basketball, football, golf). As a very aggressive entrepreneur at a young age. I don't do it that much anymore, but we retain by being competitive with pay, offering good compensation packages, and caring for our employees. We have grown a lot in five years and people ask me, "How do you get managers for all those stores?" They just come by word of mouth. When you take care of your people, word gets out because all the managers from different brands in the market know each other. To grow another 10 Popeyes stores organically and to keep looking for more acquisitions in the brand. By top-line sales. I believe growing top-line sales will fix everything on the P&L to give you a better bottom line. In 5 years, I'd like to grow with the brand to about 300 restaurants. In 10 years, I'll still be with the brand, hitting maybe 400 stores. Then I'll start looking to focus more on personal goals, such as more charity work, more international travel, and coaching a basketball team. We always give them a good compensation package, bonuses, and annual reviews for salary or wage increases. We also give them the tools in the restaurant that require more repair and maintenance, such as fryers, AC, and headsets. I would love it if my kids became involved in the business as they grow up. I think 125 restaurants in 5 years is the answer. By telling them I want to be the best franchisee in the brand--in operations metrics, sales, and development. I'm currently seven stores behind the largest franchisee. I hope to pass that in about six months. That will be a major milestone. What innovations you have created and used to build your company? I was the first one in the system to put in digital menu boards (Houston) four years ago and the brand started taking off on that two years ago. I was the first franchisee to do a 60-seat prototype (San Antonio) when everybody was doing 48-seaters. Most recently, I did my own prototype in Arizona. It's larger for higher-volume stores and Popeyes is now adopting the prototype. I started from the ground up and worked very hard. We have a global charity trust that helps where needed inside and outside the United States. Three things I truly believe, and I live by: You observe, you delegate, and then you follow up. All three need to work together. If you leave one out, the whole system falls.